So you’ve got the wedding venue picked out, the caterers lined up and all the invites in the mail. With all of these items marked off your wedding planning checklist, you may be wondering “What else could I possibly do?”. Here are some easily implemented special touches that you can use to enhance your wedding! It is likely that you still remember the distinct smell of your high school gym even years after graduating. By this same token, scenting a wedding is one of the easiest ways to create lasting memories because so many mental attachments can be made. 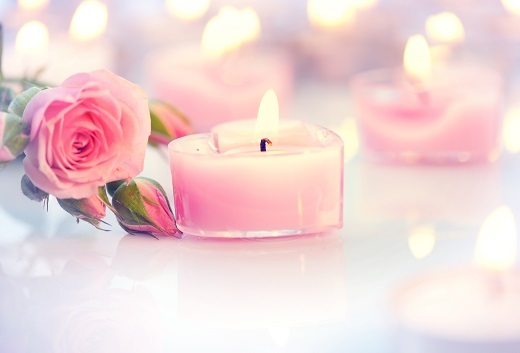 Try using candles or other scented items permitted by your chosen wedding venue, but be careful not to go overboard and make the scent to powerful. Looking to relax after the wedding planning is all done? If you are having an open bar at your wedding or serving alcohol at all, you may be interested in unwinding and creating a signature cocktail that can be served for both the groom and bride at the wedding. Not only is this a great way to relax as a couple, it can help share your creativity and tastes with the guests of your wedding as an additional personal touch. Traditionally, the guestbook has always been a bound book that is signed by attendees of the wedding. To enhance your wedding, try using an item or canvas as a guestbook to allow friends and family to create a piece of artwork that can be hung in your home to remind you of your special day. This can be anything that defines you as a couple to make it more personal!